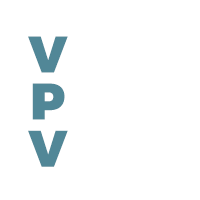 VPV is a corporate video productions company in Vancouver since 2012. We are professionally trained in creative film industry. We focus only in commercial work in order to deliver the best possible content. Don’t just take our word for it. Check out our work to learn more about us. We believe in a fair and open market. If we open our heart to our clients, you, in return, will appreciate the kind of work we do. This policy allows us to work closely with our clients and create win-win situations for everyone. Although we’d love to help everyone, we are unable to do so as a boutique video production company in Vancouver. It is important for you as a business to select a qualified team, and it is also important for us to work with similar minded individuals. We are looking for businesses that are willing to open their heart, believe in our experience, creativity, and work with us to create the piece that is best fitted for their business. Please give us a shout and get to know us more. We have a process-keeping system to keep our work-flow open so you are in control. We live and breath video productions everyday, so you are you are in good hands. Everything will be filmed by professional equipments, camera, lighting, and microphone so you can rest assure the quality will be top-notch. Post-processing the video for colours and effects makes a huge difference in quality, and makes our work stand out. Experience and careful planning are essential in cost estimates. We keep everything within 10% margin. Our response rate is always 100% within 24 hours of a phone call or email’s reach.